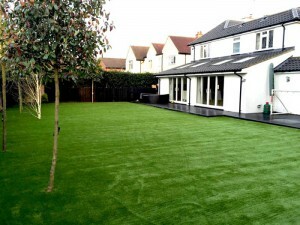 Benefits of Artificial Grass for your Garden Wouldn’t you like to have a beautiful garden or lawn all year round, only to be disappointed by the difficultly involved? 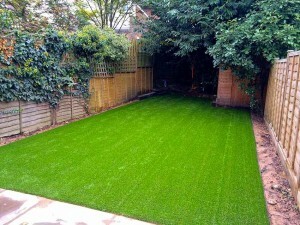 Well, now you can enjoy the best of both worlds by installing EliGrass artificial grass for gardens and lawns. Obviously, you don’t want artificial grass landscaping that looks unrealistic. Fortunately, here at EliGrass we provide high quality garden turf designed to mimic real grass with the perfect mixture of a deeper thatch and multi coloured greens to guarantee a beautiful natural lush looking lawn. In addition to a lack of maintenance concerns, you also never have to worry about muddy paws coming back into your home or children bringing more dirt into the house. Artificial grass eliminates most of the drawbacks of real grass, which in turn leaves you with less of a mess to deal with outdoors and indoors. Another major benefit of using artificial grass for your garden lawn includes the ability to have on any surface imaginable. If you have concrete, tarmac, or even a patio that you’d like to cover with grass, then artificial grass is your best bet. Our garden turf makes having a gorgeous lawn a reality. 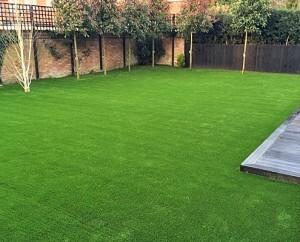 For the environmentally conscious, artificial grass landscaping dramatically reduces your impact on the environment. Reduced water consumption, toxic fertilisers, and even harmful greenhouse gases from mowing are an added benefit you can expect by using artificial grass. What are you waiting for? The perfect grass alternative is waiting for you to permanently retire your lawn mower. Contact us today to learn more about EliGrass artificial grass.